It is long since Looduskalender had information about our birds with transmitters. We will try to introduce them shortly. In September 12 birds equipped by the Eagle Club (black storks, greater spotted eagles, lesser spotted eagles, osprey), and two cranes equipped by the Estonian University of Life Sciences are moving with GPS backpacks. The spotted eagles (excepting Tõnn) and the cranes have not yet been entered on the migration map because they are still in their breeding areas. But soon they will start their migration and their movements too can be followed. Black stork Raivo received his GPS backpack in 2006, and so far the transmitter has worked quite well. 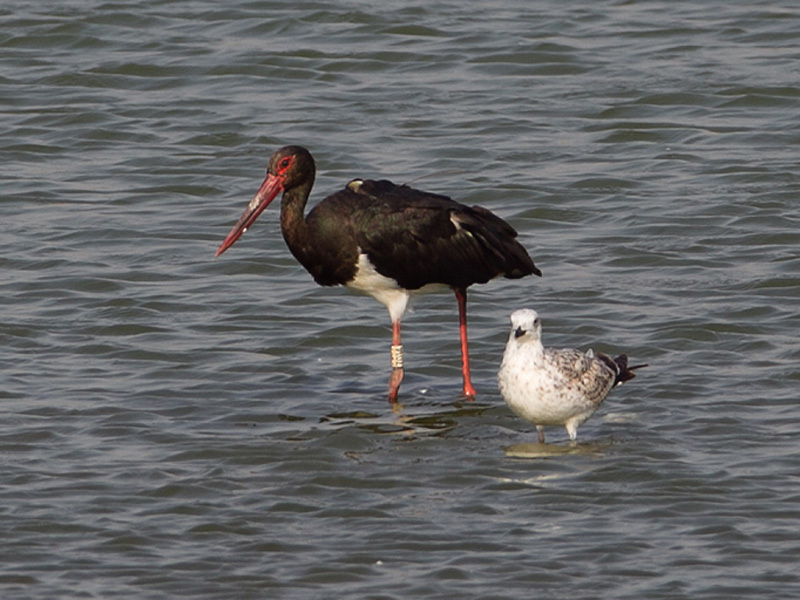 Raivo has stopped at the Israeli fish ponds for a long time each autumn and flies on to Kenya around Christmas. Last year we didn’t know whether he still had flown on to Kenya or stayed in Israel for the whole winter, because the sender doesn’t work very well when the wing feathers cover the solar panels of the transmitter, and no information arrived to us. This year Raivo built a new nest because the old one had collapsed under the great snow load. There were three chicks in the new nest too, and as usual they were very well fed. Raivo started his migration on August 16, and reached the Israeli fish ponds on August 31.